Torero Corporation has obtained rights for the global manufacture, marketing and distribution of Italian brand Police’s leather accessories range. The exclusive licensing agreement will see Torero launch the fashion major’s entire bouquet of bags and leather accessories in India, including wallets, sling bags, belts and shoes. Two years ago, De Rigo Group-owned Police, a $457-million brand, forayed into leather accessories. According to Yashovardhan Gupta, Director and CEO, Torero, the company has been in talks with De Rigo for two years for the partnership. 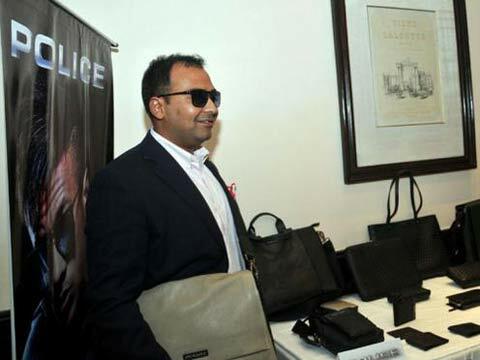 “We were suppliers and manufacturers to Police’s leather accessory range during its launch. Now, Police’s range will be manufactured, marketed and distributed by us,” he said. At present, the focus will be on the US, UK, France, Spain, Belgium and India markets. According to Gupta, Police’s leather accessories will be available in stores at a 30-35 per cent discount over international prices. “We have obtained the De Rigo board’s approval for this. In India, the prices will be lower than what they are globally,” he said. For example, the wallets will be priced upwards of Rs 2,500 and bags will be Rs 5,000 onwards. Torero is targeting sales of $10 million from Police by the end of this fiscal and $20 million by the end of FY18. “We are looking at sales of $50 million in four years. The target customer will be value and fashion conscious youth who are aware of global brands,” Gupta said. Torero will initially partner with Shoppers Stop (all 75 stores). It is also in talks with online platforms like Amazon, Jabong and Flipkart.